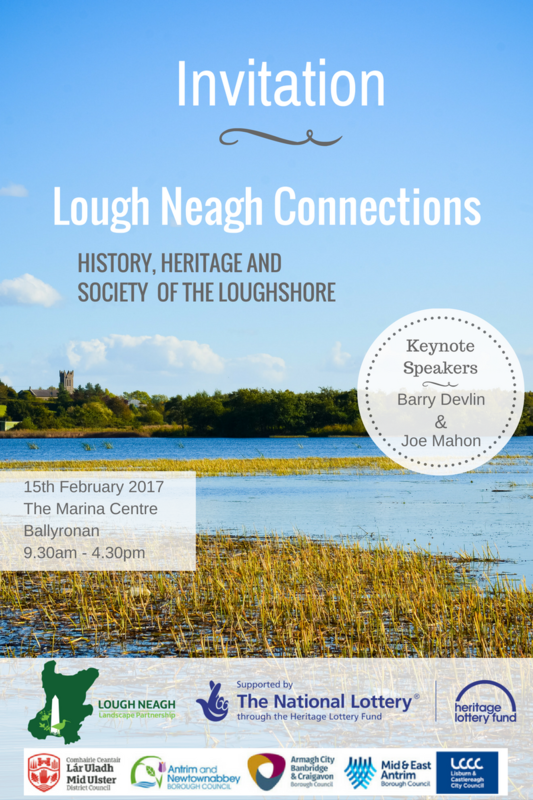 The Lough Neagh Partnership are hosting a symposium on 15th February 2017 at Ballyronan Marina; Lough Neagh Connections. The conference will explore the history, heritage and society of the Lough Shore. Lough Neagh Connections Symposium: Lough Neagh has been a huge dominating influence on many lives and is different in many ways from other landscapes, from its sheer size and vastness and its genuine natural and cultural uniqueness, to its importance in the history of Ireland and the United Kingdom. The immensity of this body of water can make its seem like a massive natural barrier but it can also be a great connector. 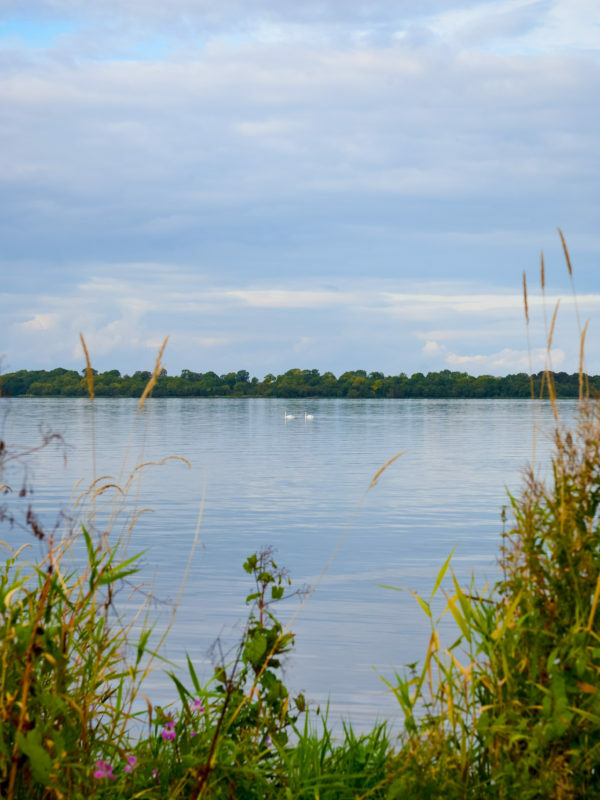 Lough Neagh Partnership Ltd has recently secured funding from the Heritage Lottery Fund to deliver the Lough Neagh Landscape Partnership Programme which aims to address the heritage needs of the lough and its shoreline on holistic landscape basis. The Programme will deliver 27 projects that relate directly to the conservation and promotion of the Lough’s cultural, built and natural heritage. 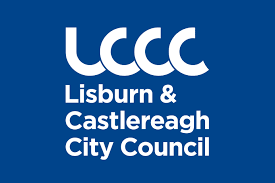 As part of this programme, the focus of this symposium is to look at past loughshore connections, rekindle old relationships and build new ones on the rich heritage of this place that is Lough Neagh. Dr Colm Donnelly is an archaeologist and Director of the Centre for Archaeological Fieldwork at Queens University Belfast where he has been responsible for the instigation and management of a wide range of successful archaeological projects. He has a particular interest in medieval and 17th Century buildings especially the Tower House. Alish Hanna is the daughter of the late Geordie Hanna and with the Geordie Hanna Traditional Singing Society is collating and publishing a book of traditional songs firmly rooted around his homeplace of Derrytresk on the shores of Lough Neagh. Dr Paul Logue is a senior archaeologist with the Department for Communities and is a leading expert on the archaeology of conflict and that of the Nine Years War. His PhD thesis is primarily concerned with buildings in a water environment. Rosemary Mulholland is Head of Conservation and Heritage at Armagh City, Banbridge and Craigavon Borough Council. Breakout groups will look at key questions around investment in history and heritage of Lough Neagh landscape in future years and how we can make better connections with each other to promote and conserve this history and heritage. This provides an opportunity for local stakeholders to give input to developing an integrated approach to the richness and diversity of our heritage assets in planning for our future. Joe Mahon is a television presenter and producer. His very popular Lesser Spotted Ulster is now in its 20th year in new format called Lesser Spotted Journeys. He has also produced and written many dramas and documentaries on themes of identity and belonging for BBC and Channel 4. A former school teacher and manager of Radio Foyle he has his own television company Westway Film Productions based in Derry. He has made many programmes around Lough Neagh and continues to be inspired by its landscape. Best wishes for your conference. Hope to make the morning session.